Paradise Quest is rated 4.8 out of 5 by 44. Rated 5 out of 5 by denniann2 from a great M3 game normal M3 games that can be relaxed or not. plays like most others. i enjoyed it and since you can play against a timer it could appeal to any kind of player. i always play relaxed. i am playing to relax. don't need the stress. Rated 5 out of 5 by wrathy from LOTS TO DO, LOTS TO FIND...WHERE'S THE SEQUEL? Although i'm a fan of match 3 i haven't bought any from Big Fish in quiet a while because they all seemed pretty much the same: make matches, clear the board, win power ups...yawn. However, i took a chance on Paradise Quest and i'm SO glad that i did! Basically, you have to restore the Galapogas Islands back to their eco-happy form by way of match 3 boards, but there are so many things to do and find too, for example: in every level there are sand tiles, which conceal power ups or extra resources that you need to restore the islands (wood, water and food#. After a board/level has been coompleted you have to place picture tiles onto a new habitat #like a jigsaw# as well as find new wildlife with a camera. The board levels themselves are pretty straightforward. Some are cloaked in darkness and you navigate around them by lighting stone torches along the way. 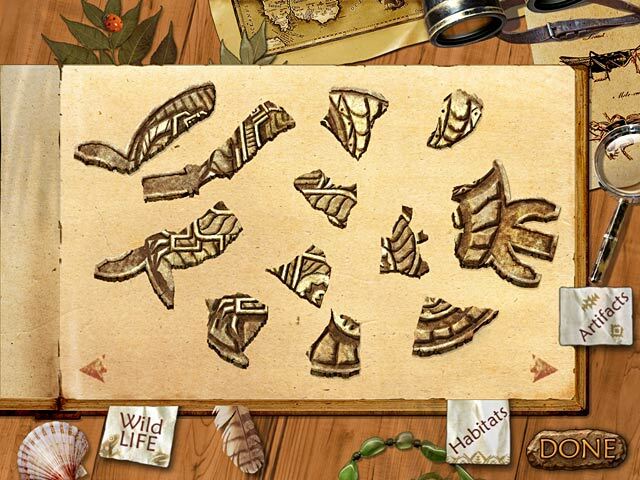 Each level comes with a map of the entire paying field in the bottom corner and as you only see a partial part of the board at any one time, by making matches you fill a vne that enables you to 'swing' to another area - the object being to release all the gold tiles from their stone enclosures. There are sneaky tiles wrapped in growing branches that you have to destroy by use of one on the many, well-thought out, power ups, but not too many. On the whole, i really recommend this game if you are seeking a gentle paced, but unusual match 3 to pass the time #want it trickier? then play in the timed mode#. i loved this game and have my fingers crossed for a sequel, well done developers!!!!!! Rated 5 out of 5 by deddu from Colorful, Fun, and Challenging Match 3 Journey to the Galapagos island of Isabela to restore the habitats and wild life in 90 levels. Earn water, food and trees. 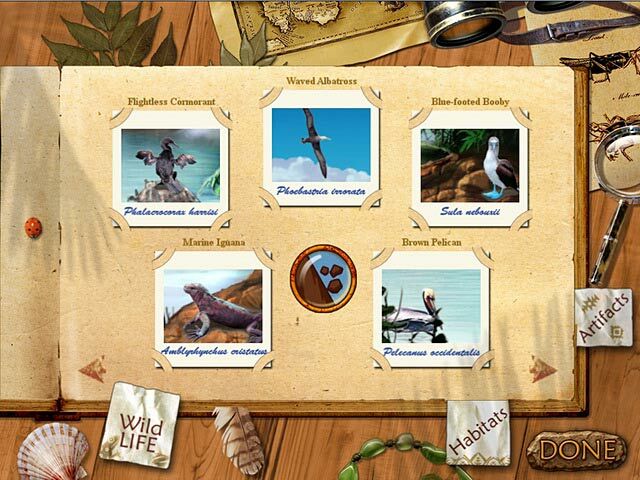 Solve the puzzles for each of the habitats. Learn about each bird and animal. Take their pictures and read about them. Don't skip the phone calls and learn about the artifact after level 70. Be sure to use your powerups in each level as they are not carried forward. (After 90 levels you can continue to play if desired). Rated 5 out of 5 by Kimmiz909 from More Like this Great game love the difficulty levels keeps me coming back to play again and again. Thanks to review by starsmark for mentioning Vesuvia - bought that one too, although Paradise for me is still better. Rated 5 out of 5 by redblossom from Fun Game I have played many games on bigfish, but this is the best one so far. It is additive. The layout of this game is very well thought out. It has many levels to keep you interested to see what is next. It is not too complex, but it is challenging enough to make you want to play more. I find it is relaxing after a long day at work. The colors, the different species and maybe because it has beautiful tropical scenery that also draw you in that makes me love this game. I do hope there will be more games made out like this. I will definitely buy it! Rated 5 out of 5 by devbabe6112 from Awesome Match 3 Game!! I love this game. I usually play time management and hidden object games and just recently got into Match 3 games. I am now wishing I had explored this genre earlier. This game is awesome and very unique. 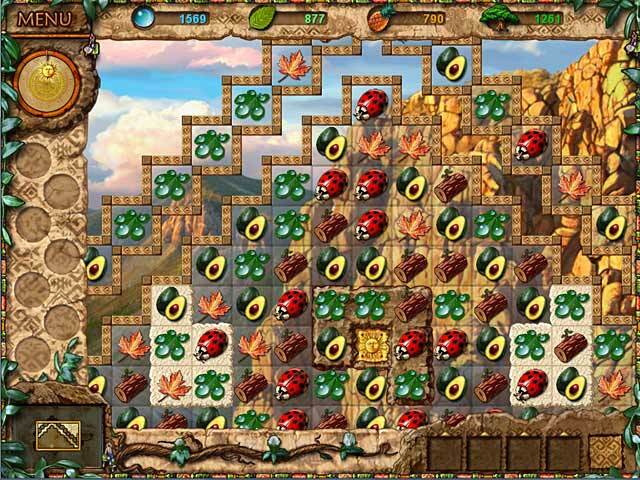 It has a little bit of hidden object and time management in it as well as some challenging match 3 levels. Finding the habitats and new wildlife is great, graphics are awesome and game is challenging but not beat your head against your computer desk challenging. If you like this one I would also recommend Laruaville. That was the first match 3 I played and now I am hooked. 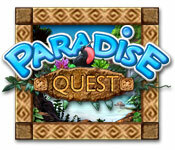 Rated 5 out of 5 by cumin65 from Paradise Quest One of the best Match 3 games ever!!!!. Good and big graphics and very easy on the eye. Use of very bright, cheerful colors. And very enjoyable although the toughest level was 62. I had to play a few times to clear this leve BUT it was very challenging. More of these games please!!!!! Thank you ! Rated 5 out of 5 by maryquil from Fun Match Three This game is pure fun. The characters are funny and likeable. The game is a challenge. This is the best buy I have made at Big Fish. Rated 5 out of 5 by pjlilly from I love this game I just started this game, I can tell right now. I am going to love it, This is one of those games that you just keep going back to. I am totally addicted. Love it!